Dar Lighting Avenue single light floor lamp features a circular design base plate with slim central stem in a light wood finish complete with a cream fabric drum shade. 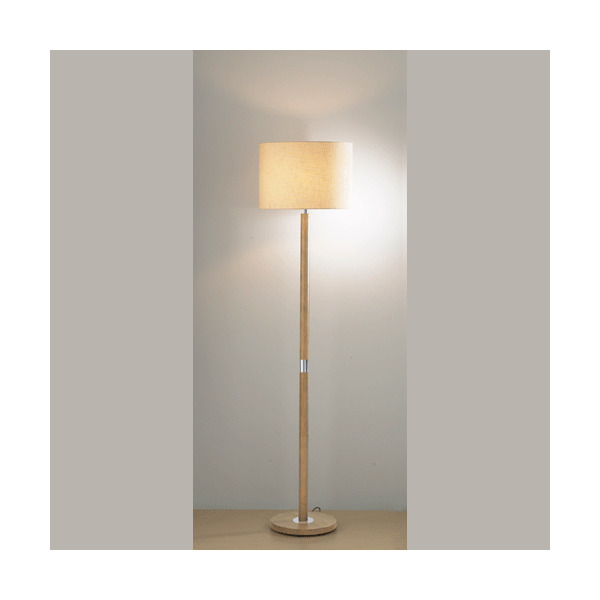 The product code for this Dar floor lamp is AVE4943. A classic look with a retro feel that is ideal for all kinds of decor, from the modern to the more traditional and will sit well in any room within your home. Operated by a push bar switch located on the lamp base. Please see our website for the matching table lamp to create a co-ordinated look throughout your home.